DLC Listed. Premium grade, 2×2 or 2×4 recessed, maximum efficiency/high performance direct/indirect architectural luminaire with single, contoured, frosted acrylic diffuser. 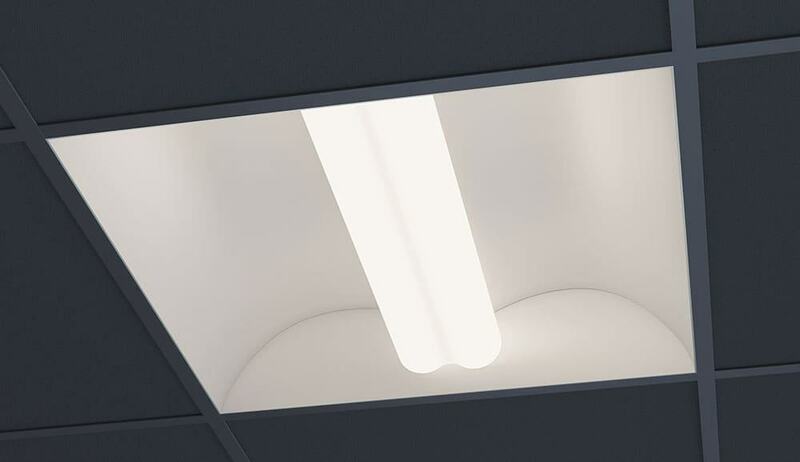 For use in indoor applications where a LED luminaire with soft, low-glare illumination and modern styling is required. Compatible with wall box dimmers; 0-10V. Available in 2×2 and 2×4 configurations.